Glazing the front door that we restored in grove park inn neighborhood. 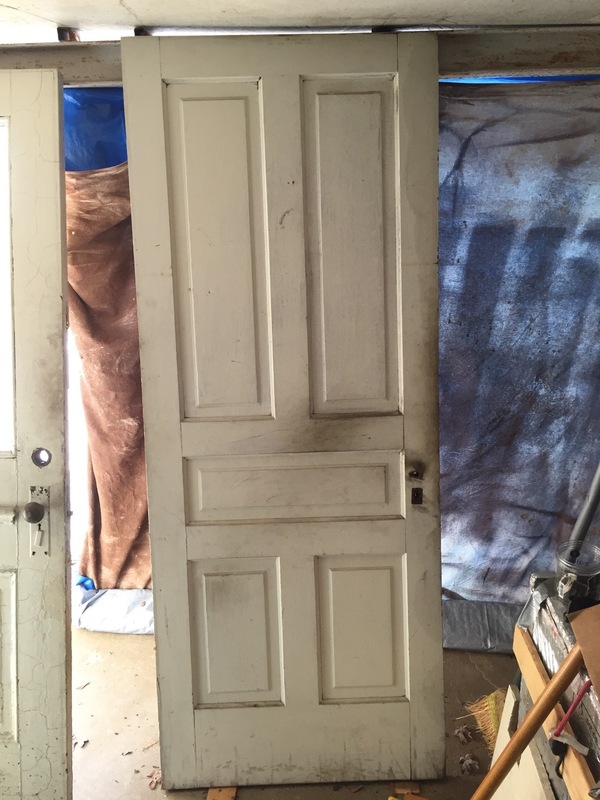 Here we are stripping the 100 years of built-up lead paint from these original old-growth pine doors. The client decided to have them painted, so I will be priming them with Benjamin Moore Enamel undercoat for the smoothest possible finish. We are using the silent paint remover to remove the paint. 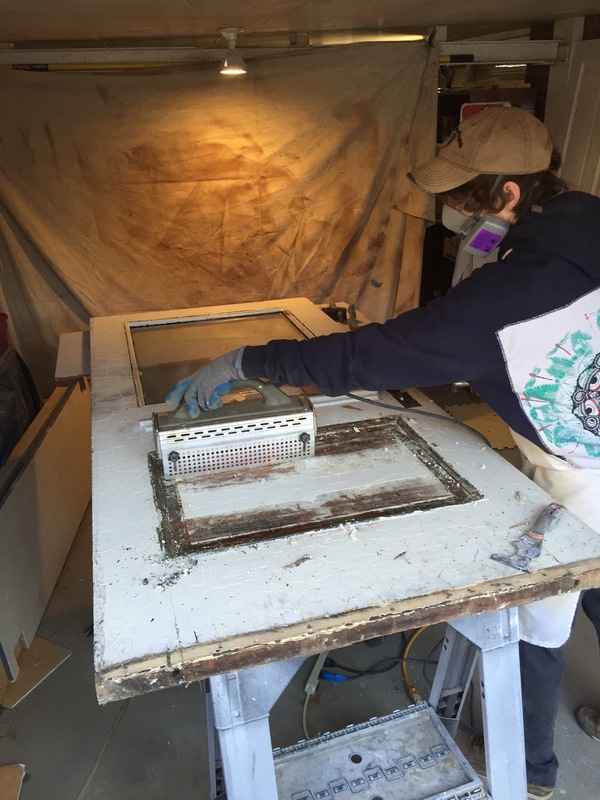 This process is followed by sanding every inch of the doors with 80 then 120 grit sandpaper. 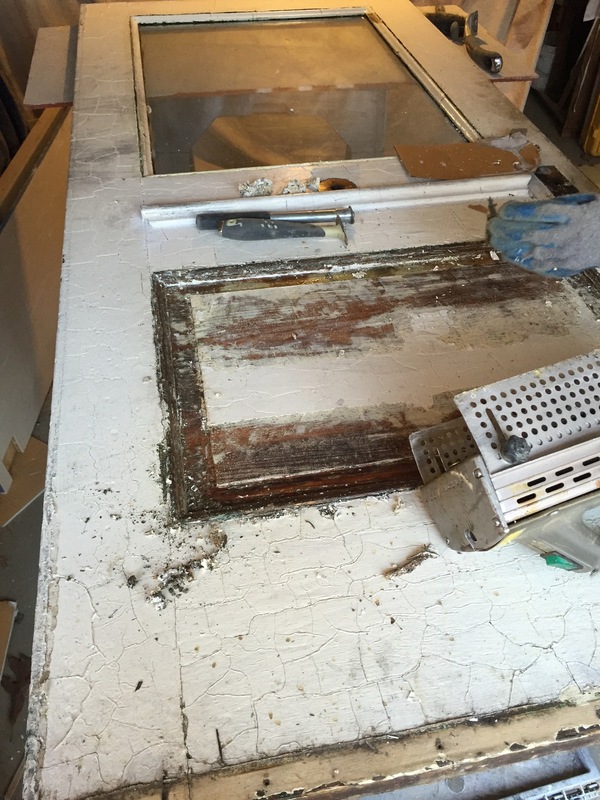 All repairs are made using Abatron epoxy system and nails holes filled with ready patch. The original door bell has been stripped by allowing the hardware to soak overnight in a crock pot with water and a couple tablespoons of baking soda. After soaking I clean remaining residue with a small nylon bristle brush and rinse in warm water. This is followed by polishing with extra fine steel wool. Abatron epoxy repair to bottom corner. First, 10 3/16" holes were drilled into corner to provide a mechanical bond between the door and epoxy. A strip of wood was taped to edge to provide a square corner for the epoxy to flow to. 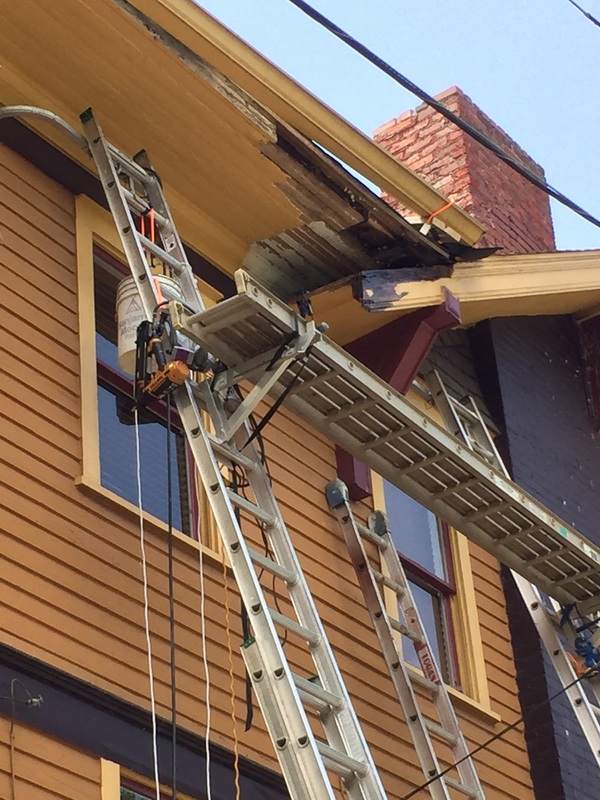 We are restoring all the windows in this 1920s bungalow. Before shot displays failing paint, typical overpaint on glass and broken panes. Here Mikey is applying the finish coat of Benjamin Moore aura, making it look easy. Some before and after pictures of my recent job. Locked and loaded. Ready for your next project. Give us a call today. A project where I am taking care of some rot issues on this historical home and returning to its original glory. 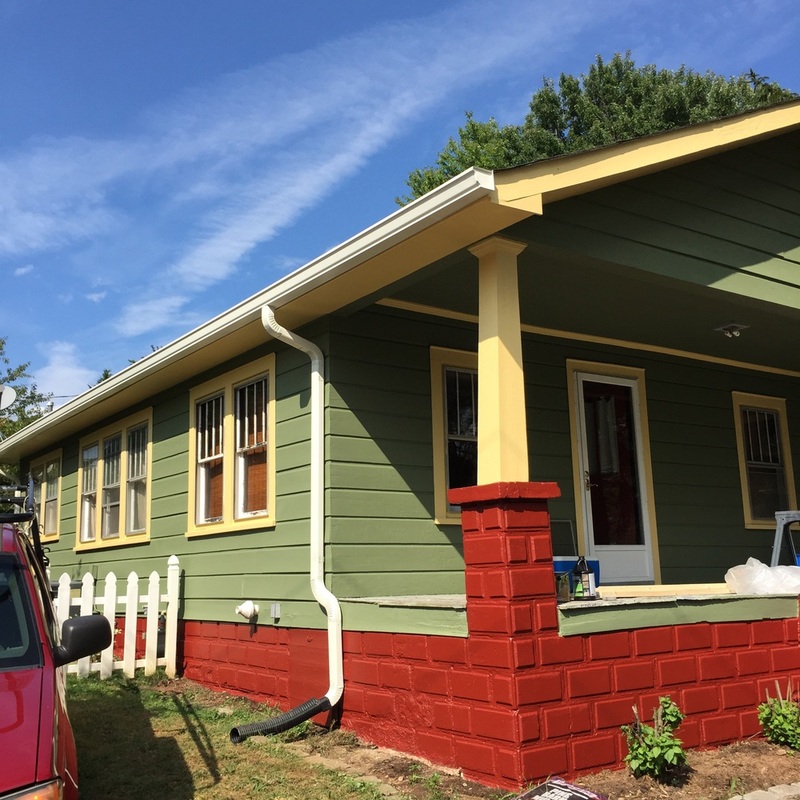 Here is a job I completed in the unca neighborhood where the entire porch framing was reconstructed due to termite damage. After constructing a solid and square frame, new tongue and groove pine flooring was laid. I was in a hurry and unfourtanetly did not get a picture of the new framing. I used all pressure treated lumber with 2x8 joist In hangers @16". The white at the seams is from priming the bottoms of the planks before laying, to seal and protect the new floor. The floor was painted to match existing. This is a window I'm currently restoring in the Historic Grove Park Inn neighborhood. I am performing a full restoration. Window completely deglazed using steam, all paint has been stripped, glass polished and beginning application of oil primer. Recently completed remodel. Complete demo of old bathroom. Popcorn texture removed from ceiling. New cement backerboard, knee wall to separate shower and toilet. All new fixtures and vanity with marble top. This is a six light window I am performing a full restoration. Here you see a window stripped of all of the hundred-year-old paint. The sash has been disassembled in order to replace a damaged Muntin. The new Muntin will be hand cut with a coping saw for a precise fit. Paint stripping performed using the silent paint remover infrared heater. A window's energy efficiency is dependent upon all of its components. Window frames conduct heat, contributing to a window's overall energy efficiency, particularly its U-factor. Glazing or glass technologies have become very sophisticated, and designers often specify different types of glazing or glass for different windows, based on orientation, climate, building design, etc. Fixed. Fixed panes that don't open. When installed properly they're airtight, but are not suitable in places where window ventilation is desired. 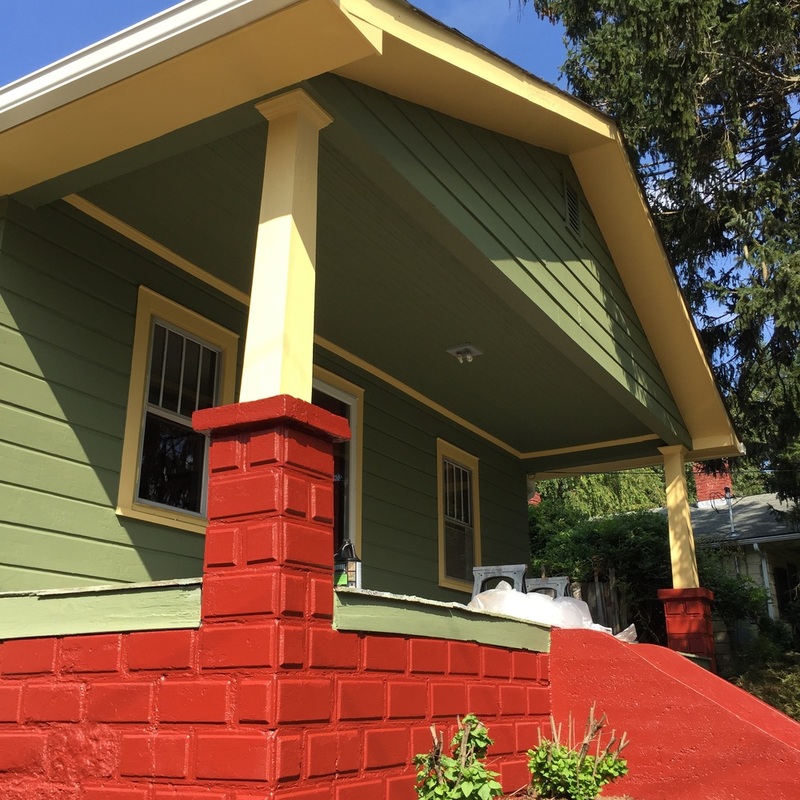 With the ever changing weather of our beautiful Asheville, you can imagine what our varying climate can do to your beloved home. 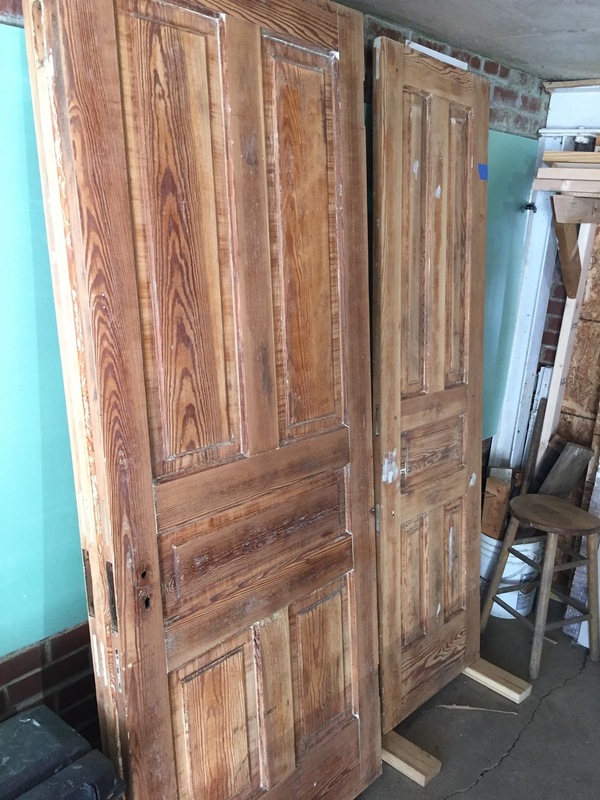 Windows, doors, walls and floors age over time adding character and charm, but there comes a time to bring them back to life. Logan Restoration and Contracting can make your house fresh and revitalized. Call us today to get started. We would be more than happy to explore your next home project, big or small.